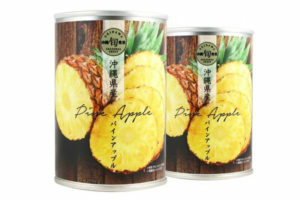 A famous canned fruit in Okinawa. 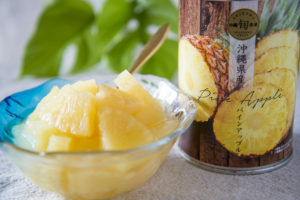 Pineapples are cropped and canned in the summer season. 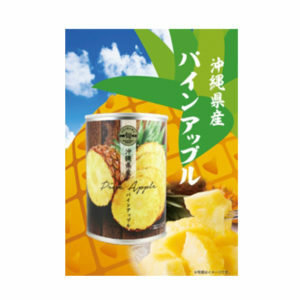 But this canned pineapple uses low-suger and packed with a light suger syrup. Less adding suger, more natural taste.